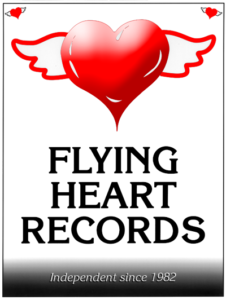 CALL FOR BLUES ARTIST SUBMISSIONS: Portland independent label Flying Heart Records is planning a second volume of the “Taste of the Blue Rose” sampler of Portland-area blues artists. The first CD, “A Taste of the Blue Rose,” featured Mel Solomon, O.C. Thomas, Bob Shoemaker, Johnnie Ward, along with several others, and was very well received. We are looking for ORIGINAL material from established or unknown Portland-area blues artists. If you are interested in having your song (or two songs) on the next Blue Rose sampler, please send a CD or cassette to Jan Celt, Flying Heart Records, 4015 NE 12th Ave., Portland OR 97212. Or email Jan at jancelt@hotmail.com and put “BLUE ROSE” in the subject line. All entries will be considered; a few will be chosen.